Recently installed plug socket in a domestic property in Eastwood, Southend. The socket installed alongside new wiring within an hour of Leigh Electrical attending site. 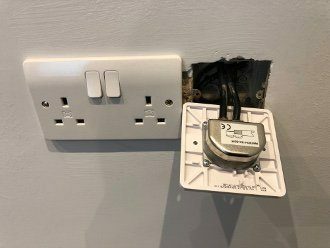 This socket installed with an excellent finish as is standard with all of our plug socket and power socket installations. Leigh Electrical can install any type of power and plug sockets including USB enabled power points. All of the work carried out at this installation is covered under the NICEIC 6 year Platinum Promise Guarantee. This is a guarantee offered to all customers of NICEIC accredited electricians such as Leigh Electrical. Our electricians operate 7 days a week including evenings for plug socket installations in and around Eastwood and the surrounding Leigh and Southend area. All quotes are provided free of charge and with absolutely no obligation. 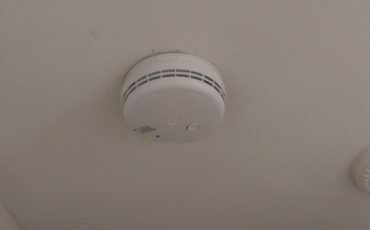 We can usually carry out plug sockets installations, removal or replacements on a same day basis. To learn more about this service please call us directly on 01702 873350 or submit a contact form below. Leigh Electrical have a superb reputation in Eastwood and the surrounding Southend and Leigh-on-Sea area for completing all manner of domestic electrical installations promptly, professionally and for a fair price. The quality and value of the electrician service Leigh Electrical provide has been reviewed hundreds of times on both Checkatrade and Trustatrader. All of the work carried out by our electricians including our plug socket installation service is covered by the NICEIC Platinum Promise. 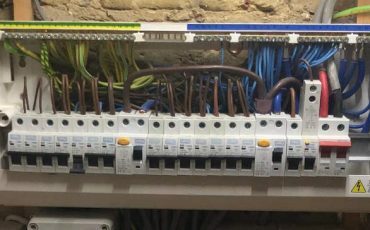 A wide selection of previous works completed by Leigh Electrical are available to view on our projects page. 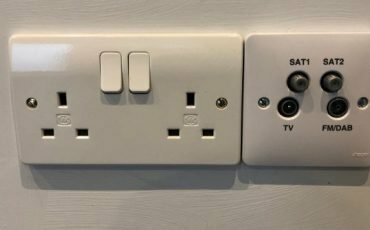 To speak to our team please call us on 01702 873350 and we will be glad to assisit and arrange a time to come and install or more the plug sockets in your property. We are capable of signing off all of our own work which ensures your properties electrics remain compliant with Part P building regulations. 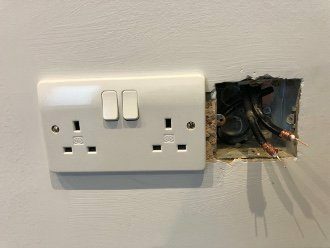 New plug / power socket installation. For more information regarding this service please call us directly on 01702 873350.